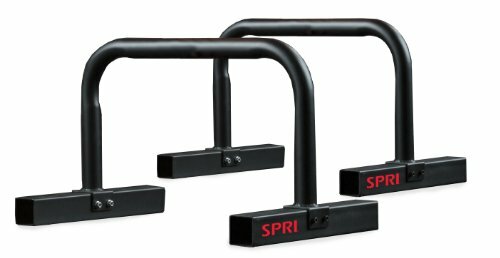 Build strength quickly with SPRI Parallettes. These bars securely support and focus weight without moving or tipping during leverage-based workouts such as pushups, dips, v-sits and handstand pushups. Place in varied positions to create specific leverage points that increase muscle load. Durable, portable, versatile - these are essential for reaching your full training potential.